A wedding is one of life’s most significant celebrations. It merits all the careful thought and planning usually invested in its preparation. Of course planning for the ceremony itself is a part of preparation for marriage and you-the pastor-will have your responsibilities to attend to in every cultural setting. However, wedding plans do not form the sum and substance of an effective ministry to premarital couples. David and Vera Mace, a pastoral couple who pioneered in research and ministry for married couples and with whom we had the privilege to study, often made the point that a wedding is not a marriage. A wedding, they affirm, is a significant moment in the history of a couple. It is the ceremony at which a covenant-a promise of faithfulness and lifelong commitment-is solemnized before God, family and friends. But a marriage is more than a ceremony. A marriage is the working out of the promised commitment over a lifetime. To the wedding, the bride and groom each bring a suitcase. A suitcase filled with the family traditions, values, interests, dreams, relational experiences and abilities they have gathered since birth. A marriage is the sorting and mingling together of the contents of these two suitcases over a lifetime. A marriage is a process of creating a new suitcase. It will be filled with some things old and some things new which the couple chooses for their journey together. Ideally, this process begins intentionally three to six months before the wedding. At that time the couple enters with their pastor into a period of concentrated preparation for marriage. In his book Generation to Generation, Dr. Edwin Friedman portrays the role of an effective pastor in ministry to families as being like that of a coach, guiding the family through the seasons of marriage and family life. You are often called upon to officiate at significant family events such as weddings, baby dedications, graduations and funerals. But the pastor who serves merely as an officiator at events misses many great opportunities for ministry-opportunities to help families negotiate life transitions successfully and to enhance their relationships and spirituality during these seasons when they are most open to growth. These opportunities for ministry are open to you because you, like no one else, are drawn into the family circle in times of crisis and at significant family transition points. The quality of the relationship between you and the families to whom you minister will to a large degree determine your effectiveness during these important seasons. The special relationship developed between a pastor and a couple during the premarital period can set the stage for effective ministry to that couple in the future. Prepare the couple for the transition into married life. Another primary goal of premarital guidance is to alert the couple to the transitions they can expect within married life and to prepare them for the most immediate transition-moving from singleness to married life. David Augsburger in his book Sustaining Love speaks of four marriages within a marriage-the marriages of dream, disillusionment, discovery and depth . Couples may vary in the number of years spent in each stage, but the pattern appears to be consistent among couples who stay together. Augsburger is not alone in his observations. Many experts in family living have noted common transition points and stages across the family life cycle-the birth of the first child, midlife, the emptying of the parental nest, retirement. As the seasons change, adjustments are absolutely necessary. This family life cycle theme was featured in the 1996 General Conference Family Ministries Planbook Family Seasons which should be available through your division Family Ministries Department. Couples who are able to anticipate predictable transitions in the journey ahead and who are realistic about their expectations of themselves, each other, and their relationship throughout life’s various seasons will be less likely to abandon their covenant as the seasons change. In real life, human love is like the tide. It ebbs and flows. There are seasons of ecstasy when the tide rushes in, and there are seasons of disillusionment when the mud flats of the relationship are exposed. Couples who are encouraged to dialogue before marriage about this reality will be in a much better position to understand and traverse the experience. How will they cope in times when rose-tinted glasses give way to a crystal clear view of hard reality? How will their commitment to the Christian ideals of mutuality, respect, faithfulness, forgiveness and caring about one another’s deepest needs impact their responses to one another when difficulties arise? Of course such questions cannot be fully answered before marriage. But the opening of such issues at this time will give the couple a sense of permission to address them again as the twists and turns of married life unfold. Enhance relational skills. The period of premarital preparation also provides opportunity for the couple to further develop the relational skills necessary for couple intimacy. By intimacy we mean the experience of being fully known and fully loved. Intimacy is not only physical and sexual, but emotional, intellectual, social and spiritual. The ability to convey and receive love, to affirm one’s partner, to communicate, to process anger, and to resolve conflicts effectively can be learned by any couple willing to listen to one another and put energy into enhancing their skills. Provide opportunity to re-evaluate the decision to marry. The premarital guidance process also provides a chance for the couple to re-evaluate their decision to marry. For some, the premarital sessions will highlight immaturity, unresolved issues with parents, relational difficulties or other reasons why it may be best to postpone the wedding or even reconsider the decision to marry each other at any time. After several months of premarital counseling, one young woman who came into our offices on the end of her fianc�’s finger, romantically smitten, decided to postpone the wedding. She came to realize that getting married was her way of retaliating against her parents-not a good reason for marriage. She spent the next year repairing and rebuilding her relationship with both of her parents. About a year later she was ready to move ahead with her marriage, which she did. The premarital process helped her to clarify her motivations for marriage, to mature personally, and to secure important family support for herself and her marriage. The detection of issues that may later adversely affect the marriage, or a couple’s re-evaluation of a decision to marry, should be regarded as positive outcomes of premarital counseling. Couples need assurance that they have not failed because they decide to alter their plans. Rather, they have made a very positive decision in choosing not to move forward inappropriately. If they decide to postpone or to cancel their plans to marry, you may wish to invite them to visit with you individually to help them work through the sense of grief which may accompany such a loss. Develop confidence and trust in the pastor and the counseling process. As has been mentioned, it is also hoped that one of the significant outcomes of premarital sessions with the pastor will be the development of confidence and trust in the pastor and the counseling process. This will set the stage for the couple to turn to the pastor or a counselor in the future for marriage enrichment and for counseling when needed. In the last two decades, many denominations have undertaken efforts to provide premarital guidance for couples requesting marriage. In 1984, the Seventh-day Adventist Church took the official action charging pastors with the responsibility of providing premarital guidance for all couples requesting marriage. Of course, many pastors and churches were already providing this important service, but the denomination’s action sent the clear message that the church considers premarital guidance important and that it accepts responsibility for helping couples with their preparation for marriage. Today, many couples no longer see premarital guidance as a requirement. They have heard the good word from others that premarital counseling not only helps couples prepare for the future; it also provides an opportunity to address current issues in their relationship. So, many actively seek out the benefits premarital preparation provides as they launch their marital relationship. Further, much more data is now in to support premarital efforts. Studies show clearly that couples who have put some energy into premarital preparation typically fare better than those who do not. However, some approaches to premarital guidance have been shown to be more effective than others in terms of keeping marriages together and generating higher levels of marital satisfaction. Pastors and counselors have rightly observed that the months just prior to the wedding do not afford many “teachable moments” in the lives of couples preparing for marriage. Rose-tinted glasses tend to filter out any view of one’s beloved or the relationship which is less than the most flattering. What has come to be called a “bliss barrier” closes eyes and ears to the best admonition and advice that could be offered. Premarital preparation which emphasizes an advice-giving or didactic approach has proven to be little more than a waste of time. But research has highlighted three significant factors in effective premarital programs. Long term benefits are associated with a process which enhances a couple’s (1) understanding of themselves and one another; (2) exploration of a wide spectrum of marital issues; and (3) relational skill-building. In an effective premarital program, couples come to understand themselves and one another better through the use of psychological tests and other assessment tools. These assessment instruments offer insights into individual temperaments and a person’s psychological adjustment. They also provide a means of determining how well the couple knows each other. Discussion surrounding these test results may also be helpful in assessing the degree to which the couple accepts one another unconditionally and, by contrast, the extent to which expectations that they will be able to change the other once they are married may create a problem. When a pastor facilitates a couple’s exploration of a wide spectrum of relational issues, topics are introduced into the couple’s conversation which they may never have thought to discuss. Inevitably such dialogue will unmask differences in perspectives and expectations which may already be, or may become, problematic. As necessary, the pastor will then be in a position to assist the couple as they seek to understand one another and deal with significant differences. Through this process, the pastor is also able to evaluate a couple’s relational skills. As necessary, he will then take steps to help the couple develop their skills in communication, anger management and conflict resolution. You will note that in this model of premarital counseling, the pastoral counselor primarily serves as a facilitator to enable the couple to understand themselves, discover their relational strengths and areas where growth is needed, and to enhance their relational skills. He or she does provide information when necessary and models and teaches skills, but does so in the context of the couple interaction in the session. Cruise-Blitchington Temperament Inventory. The Cruise-Blitchington Temperament Inventory offers a simple schema for understanding differences between human beings. It is based on an age-old view that humanity can be sorted into four major types-choleric, melancholy, phlegmatic and sanguine. It can provide beginning insights for the couple into the habits and behaviors of each partner. Myers-Briggs Type Indicator. The Myers-Briggs Type Indicator (MBTI) shows how individuals perceive information and make decisions and their preferred ways of dealing with people, ideas, schedules and the world around them. Training in administration and interpretation is recommended, but not mandatory. Materials are available in a number of languages from different sources in a number of countries. The book Gifts Differing by Isabel Myers provides an excellent overview of the psychological aspects of the test and its interpretation. Taylor-Johnson Temperament Analysis. The T-JTA is an instrument designed to measure levels of emotional adjustment in nine areas referred to as “traits”. The criss-cross use of the T-JTA provides insight into how the couple view each other and how well they know one another. The T-JTA is also available in a number of languages and has been normed for several different cultures. Training to use the T-JTA is required before materials can be obtained. Genogram. A genogram graphically portrays how persons are connected to their extended families. It is a helpful tool for exploring the impact of relational patterns within each family of origin on the individuals and on the couple. Since people tend to replicate the dynamics within their families of origin across generations, creating a genogram can be an enlightening way for couples to meet each other’s families. A genogram provides a visual alert to the potential that certain traits will pass from generation to generation unless conscious efforts are put forth to change them. A book such as McGoldrick and Gerson’s Genograms in Family Assessment provides further direction on drawing a genogram. Prepare/Enrich Inventories. The Prepare/Enrich Inventories provide comprehensive relationship assessment tools for couples at different stages. Prepare is for premarital couples. Prepare MC is for premarital couples with children. Enrich is for married couples, and Mate is for couples over the age of 50. The inventories are completed by the couple and then computer scored by the organization. The results are returned to the pastor/counselor. These inventories provide a wealth of information about the couple’s relationship, thus enhancing your effectiveness as a pastoral counselor. They can help the couple increase their awareness of strengths and potential areas for growth. They can be used to stimulate dialogue and provide opportunity for relational skill building. They can also build the couple’s confidence in their ability to have a strong and committed marital relationship. Preparing for Marriage Inventory. The Preparing for Marriage Inventory is a part of the General Conference program for premarital guidance, Preparing for Marriage. It is a comprehensive inventory completed by the bride- and groom-to-be individually. It provides opportunity for each partner to think through and express his or her views on such issues as selecting a life partner, values and goals, expressions of love, religious beliefs and expectations, roles and responsibilities, communication and conflict resolution, in-law relationships, finances, sexuality and family planning, health and habits, and family background. The results are then used as a basis for couple dialogue in the premarital sessions with the pastor to enhance a couple’s understanding of one another and to provide insights into relational strengths and potential areas for growth. In this model of premarital counseling in which the pastor facilitates the work of the couple, attention is given to the development of three special skills-(1) couple dialogue, (2) processing anger effectively, and (3) resolving conflicts constructively. The couple’s dialogue forms the heart of the counseling sessions together. Couple dialogue involves the couple turning to each other and talking to one another in your presence. While this may seem awkward at first, with your gentle coaching to talk to one another as though you were not there, most couples soon relax and discover the benefits of sharing even difficult issues within the safety of the counseling session. The dialogue may be based on something they have learned from one of the assessment instruments, the sharing of their responses to a question you pose, or a pressing issue which they bring to the premarital session. Couple dialogue is a skill which most couples have to develop through coaching and practice. Encourage the couple to engage each other by using the second person pronoun “you” rather than speaking about each other by using “he” or “she.” In the early premarital sessions, you will want to listen for and affirm the couple’s strengths in their ability to communicate. You may note, for example, that they do well at looking one another in the eye, at communicating non-verbally through caring touch and gestures, that they are able to express feelings to one another, that they listen to one another and check to see if they have understood correctly, or that they are not afraid to address problem areas. In time you will also be able to open some areas where there is potential for growth and coach the couple in the development of better communication skills. Perhaps you will see that the couple could improve their abilities to listen. Perhaps both talk, but neither seems to be hearing what the other is saying. Perhaps one is good at talking, but the other tends to be quieter. At this point you will want to ask their permission to point out something you are observing. Encourage them to share more than information and opinions; suggest that they try to put their feelings into words. When an opportunity presents itself, you will introduce the skill of active or reflective listening if needed. Active, or reflective, listening is a skill which helps individuals receive both the content and the feelings of a message being sent to them. It provides a way to check back with the sender to see if the message was fully understood before proceeding with the dialogue. The process is not difficult. One partner, let’s say the bride-to-be, conveys a message. The groom receives the message and attempts to decode both the content and the feelings behind it. To make sure he has decoded her message correctly, he reflects what he thinks he heard-both the content and the feeling-back to the bride. If the bride agrees that her message has been heard correctly, she confirms this to him. The groom then has a chance to send a message of his own to the bride. However, if the bride’s message has been incorrectly understood, the bride can communicate her message again and the groom can try again to decode it more accurately. At first, when practicing the skill of active listening, it can be helpful to use introductory clauses like, “I hear you saying that . . .” and “I think you are feeling . . .” If you and your wife are providing the premarital counseling together, you may wish to model this skill as a couple. Assure the couple that while this feels mechanical at first, it soon becomes very natural and almost automatic. What’s important is that active listening will go far toward minimizing the misunderstanding which can create many problems in a relationship. When you have explained and modeled these skills, invite the couple to try dialoguing again on the same topic, but this time using the skill they have just learned to make sure they have fully understood what their partner has said before proceeding with comments of their own. You will likely have to coach them along the way as they attempt to put their new talking and listening skills into practice. One difficulty couples often experience is the inability of one or both partners to express feelings. They may need you to help them feel comfortable with the full spectrum of human emotion and find words to express their feelings. A look through the Psalms to identify the feeling words and emotions being expressed by the Psalmist can be a helpful homework assignment. The process of having the couple dialogue in your presence can also alert you to the level of communication at which they usually function. John Powell, in his book Why Am I Afraid to Tell You Who I Am , identifies five levels of communication. They range from a chit chat level of very surface communication to the deepest level of communication where the couple is able to disclose to each other their innermost feelings and thoughts. In between, are three levels which progress from being able to report information, to a level at which persons are able to share their opinions, to a level which incorporates the sharing of feelings. Of course there are situations in which each of the five levels is appropriate. But you will want to draw attention to the importance of communication at the deeper levels. You are in a good position at this time to provide insight into the levels of communication and to encourage and coach the couple as they stretch toward the self-disclosure which leads to intimacy. Sherod and Phyllis Miller’s organization Interpersonal Communication Programs, Inc., provides excellent training and resources on communication skills. Anger is presented in Scripture as an appropriate response to injustice and the victimization of the weak and vulnerable. Anger sets the boundaries on abusive treatment and gives energy to the victims to respond by rejecting such treatment and taking action to protect themselves and those for whom they are responsible. Anger serves as an early warning signal that there is a problem in the relationship which needs to be addressed. In each of these circumstances, anger is a friend if it is heeded and the issue behind it resolved. However anger which is allowed to fester and which is never processed constructively in a relationship will damage the relationship, perhaps irreparably, and rob the couple of the intimacy for which God created marriage. By the time they enter premarital counseling, couples have usually been in a relationship long enough to have already experienced the pain of unresolved anger. The subject may be difficult for them to talk about, but your matter-of-fact approach can help normalize their experience and give them permission to address the subject. Many have discovered that different individuals handle anger in different ways. Some suppress it, while others explode violently. Some find it easier to identify and own their angry feelings; others live in denial and find its expression very difficult. Learning how anger was dealt with in the families in which they grew up and exploring their own mechanisms for handling anger before marriage can open the way for growth toward the constructive processing of anger in the future. Both partners can learn to acknowledge the presence of anger within them and accept responsibility for their behavior when they are angry. Encourage the couple to make a commitment never to strike or emotionally abuse one another in a fit of anger. In the premarital setting, couples can begin to develop their ability to identify the unresolved feelings that lie beneath their anger-feelings of hurt, betrayal, fatigue, frustration, belittlement, rejection. They can become more adept at expressing these feelings and accepting one another when they have these feelings. They can develop skills for resolving the issues associated with these primary feelings before anger has emerged with force. They can come to view anger as a friend, as a signal that growth is needed in a particular area. They can experience the benefits of turning to one another for help in resolving the pressing issue rather than allowing this powerful emotion to wreck havoc in their lives. As a pastoral counselor, you may need to think through your own attitudes toward anger so that you do are not afraid of it when it arises between the couple as issues are discussed in the premarital sessions. In fact, if it does not arise spontaneously, it is important for you to open the subject. It is important to give couples an opportunity to look at their existing mechanisms for handling anger and to develop new skills which lead to a more constructive use of anger in the relationship. This may be one of the best outcomes of the premarital process. Likewise, couples who learn before marriage to resolve conflict creatively will have a distinct advantage in their marriages over couples who have no skills to work through a difficult problem. Jack and Judy Balswick in their book The Family talk about five common ways of dealing with conflict. (1) Some individuals avoid conflict and withdraw from the relationship when conflict arises. (2) Others accommodate and prefer to yield rather than confront the issue. (3) Still others compete to win. (4) Compromise-you give a little and I’ll give a little-is the route others prefer. While there may be circumstances when each of these styles of conflict management may be useful, they do not usually prove adequate over the long haul. (5) However, there is a fifth style which usually proves the most satisfactory. Balswicks call it the collaborative style, in which conflict is resolved in ways that take the needs of all concerned into consideration. Deal with issues and grievances as they occur without bringing up the past. Use your communication skills to listen and share. Attack the problem, not your partner. Identify the needs of each partner in relationship to the issue. Consider alternative solutions. Generate as many as you can without evaluating them at this point. Evaluate your possibilities. Reject any which are unacceptable to either or you. Choose the one which best meets the needs and concerns of both. Generate more alternatives if necessary. Plan to re-evaluate the solution you have chosen in the near future to determine if it has proven satisfactory. Attend to restoring the relationship. Conflict creates stress. Sharing deep feelings is often difficult and emotionally exhausting. Pray together. Take time for some positive, relationship-building experiences. Couples may choose to use such a model to work through a real issue which concerns them in one of the premarital sessions with you. They may at times need information and genuinely seek your opinion. Avoid the temptation to give unsolicited advice. Rather, help them to explore their values, consider the various options open to them, and reach solutions that are fitting for them. If a real issue does not present itself, it can be helpful for you to present some case studies to demonstrate how the model works. Let’s turn our attention now to the premarital sessions themselves. Individual and group programs. In some settings where several couples may be preparing for marriage at the same time, a series of classes for a group or a weekend retreat may provide a useful format to accomplish a number of the objectives of premarital guidance. However, for best results, group programs should be followed up with individual sessions. Settings where the counselor meets with the individual couple afford the optimal environment for a couple to make themselves vulnerable and receive help with their individual needs. Curricular and customized programs. Ideally, the premarital sessions should be set up to accomplish three things: (1) to learn about and attend to the particular needs and issues of the couple, (2) to determine their level of skill in dialogue, handling anger and conflict resolution and develop these as necessary, and (3) to provide opportunity for them to discuss and learn about a number of common marital issues. Some premarital counselors find it easier to have a more structured curriculum of assignments and session outlines. 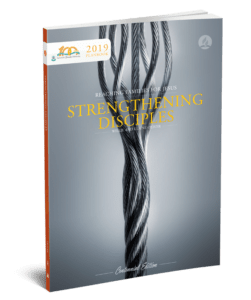 The General Conference of Seventh-day Adventists’ resource Preparing for Marriage and other books such as Premarital Counseling by H. Norman Wright provide models for such a structured program and rich resources if you decide to assemble your own. Among the topics that are typically covered in such structured programs are: religious beliefs and expectations, family background, temperament/personality similarities and differences, fears and anxieties about marriage, values and goals, roles and responsibilities in marriage, understanding emotions, communication, decision-making and conflict resolution, in-law relationships, friendships, finances, sexuality and family planning, health and habits. You may prefer to make an assessment of the unique needs of each couple and then customize their premarital program, working in the various skill-building elements with opportunities to explore specific marital issues that may be most essential for them. Of course, you and the couple may agree to have additional sessions together before and after the wedding to work further on certain issues, cover topics unfinished from the pre-wedding sessions, and to check on how things are going through the first year to eighteen months. The first year and a half of marriage is generally thought to be the period when relational patterns are being set and during which adjustments are made more readily. You will want to set the date for the first post-wedding session at the last pre-wedding session. If the couple intend to move from your area, you will want to talk with them about arranging for a post-wedding session with another pastoral counselor. In the post-wedding session or sessions (which are really marital counseling sessions) you can also introduce couples to the process of marriage enrichment and invite them to join an enrichment group of other couples for fellowship and marital growth. Duration and frequency. Sessions may range in length from 60 to 90 minutes. Generally, since couples will likely have some between-sessions assignments, meeting every other week is preferable. Some time lapse will also give them opportunity to work on developing their relational skills. In some cases your expectations will need to be very flexible, since it is not unusual for couples to conduct a long-distance romance while one or both are away from home for college, work, or military service. Assignments can be given and independent study done by the bride and groom-to-be, followed up by conference calls and extended sessions when the couple do have opportunity to meet with you. In such cases, the post-wedding sessions can be even more important to help them cover vital areas that they were unable to attend to beforehand. During the last month before the wedding, the event itself looms with such importance that the possibility for skill-building and relational growth diminish. The focus of the premarital sessions should then shift to making last-minute plans for the wedding day. During this month you can have a final pre-wedding session with the couple to discuss their order of service and their preferences with regard to their vows. Today, many couples prefer to personalize their vows to each other. Also, you can invite their input into your wedding sermon or homily-their favorite promises and verses about love and marriage. For a good resource, see Wedding Ceremony Idea Book by George W. Knight. Format. Some counselors visit separately with the bride and the groom for one session or for part of a session, giving opportunity to get more personally acquainted with each partner and to allow opportunity for disclosure of issues that might not occur in a conjoint session. In our opinion, such individual sessions should be undertaken only when considered necessary, since such sessions may complicate the process of openness and the partners’ vulnerability to each other which you are wanting to establish. Such sessions may also set up a circumstance where you as a pastoral counselor may have to decide what to do if one or the other asks you to keep a secret. Generally, sessions should feature couple dialogue as much as possible, with input from the pastoral counselor as necessary for coaching, for sharing helpful information and facilitating skill-building and relational growth. As we have mentioned, couple dialogue can be stimulated by a discussion of the results and interpretation of an assessment instrument, by a question or situation posed by the pastor, or an issue which the couple brings to the session. How is your fiancee similar to or different from your father and mother? What is there about your parents’ marriage and your fianc�’s parents’ marriage that you want or don’t want? How many children do you think will be ideal for you and how does your fianc� feel about it? The Preparing for Marriage Inventory in the General Conference resource Preparing for Marriage was designed for such use in premarital sessions. Recently some young friends of ours gave us the great honor of participating in their wedding ceremony. Eight months earlier Bobby and Jackie had come to us, enjoying a good friendship, attracted to each other, thinking about marriage, but genuinely wondering whether it would be a good idea. After several appointments, however, we were delighted when they announced their engagement. That delight was doubled when they asked us to perform their wedding ceremony. It was a day for making memories. The groom, overcome by the setting, the music, the joy of becoming a husband, and the beauty of his bride, excitedly replied to the question, “Will you take this woman. . .?” with a resounding, “I sure will!” Then his romantic flair overcame all inhibitions. Upon their introduction as husband and wife, he boldly scooped her into his arms and strode exuberantly off the rostrum down the steep bank of steps to the sanctuary floor. We will not soon forget the joy of that day. Joy born of being part of the establishment of another home which testifies to the world of God’s goodness in creating male and female and bringing them together as one-flesh. Joy in the day to day as we watch this young couple’s love mature and flourish. Joy in knowing that a process set in motion during the premarital period has paved the way for ministry into the future. We wish this joy for all of you as we recommit ourselves to ministry to couples during this most significant season in their lives. Augsburger, D. (1988). Sustaining love: Healing & growth in the passages of marriage . Ventura: CA: Regal Books. Balswick, J. O., & Balswick, J. K. (1989). The family: A Christian perspective on the contemporary home . Grand Rapids, MI: Baker Book House. Flowers, R., & Flowers, K. ( 1995). Family seasons . Silver Spring, MD: General Conference of Seventh-day Adventists. Flowers, R., & Flowers, K. (1988). Caring for marriage . Silver Spring, MD: General Conference of Seventh-day Adventists. Flowers, R., & Watts, K. (1985). Preparing for marriage . Silver Spring, MD: General Conference of Seventh-day Adventists. Friedman, E. H. (1985). Generation to generation: Family process in church & synagogue . New York: Guilford Pr. Knight, G. W. (1984). Wedding ceremony idea book . Brentwood, TN: J M Productions. Mace, D. (1982). Love & anger in marriage . Grand Rapids, MI: The Zondervan Publishing House. Powell, J. (1969). Why am I afraid to tell you who I am? Niles, IL: Argus Communications. Wright, H. N. (1977). Premarital counseling . Chicago: Moody Press.